Our client bought their property in Lightwater, Surrey back in September last year. When they moved into the house it was very run down and was in need of much love and attention. Since then, our client has tirelessly worked their way around every single room, redesigning and decorating, to bring the house up to a very high standard with a top quality finish. 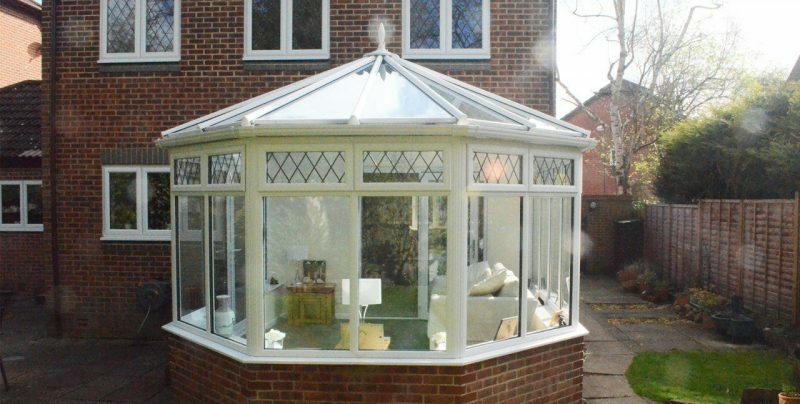 The conservatory was already existing when our client bought the property. However, five of the window panes had blown, the door had a large gap at the bottom and the roof panes were slipping as there were no bars or clips holding them in place. 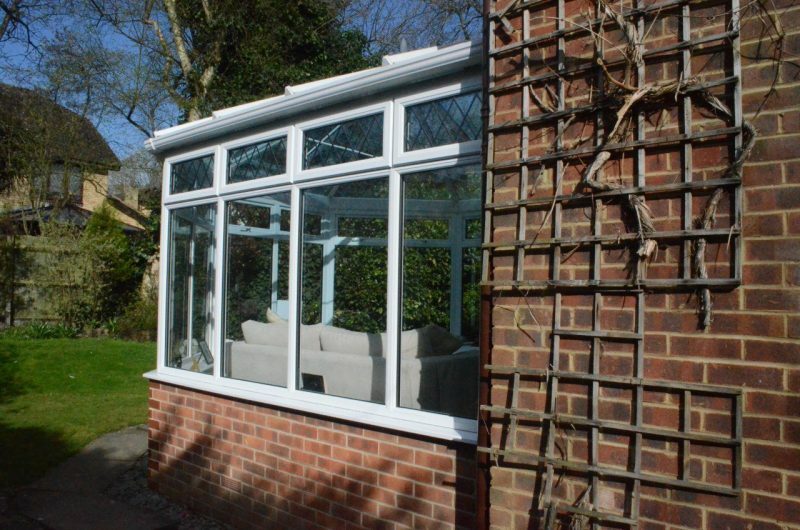 Apart from the dwarf wall, the entire conservatory needed replacing! 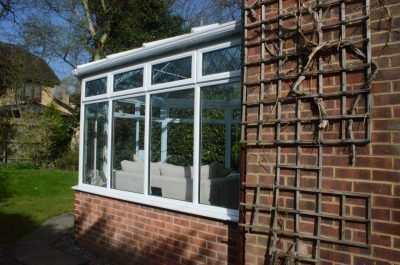 Our client had been recommended to Sheerwater Glass by a neighbour when they replaced the windows of their previous property. They were in no doubt that they wanted to use our expertise once again to upgrade their conservatory in their new home. In the short term, we replaced their French doors immediately. We did this because the gap under their previous door was so big – you could feel a breeze and see into the garden just by looking out of the crack underneath! 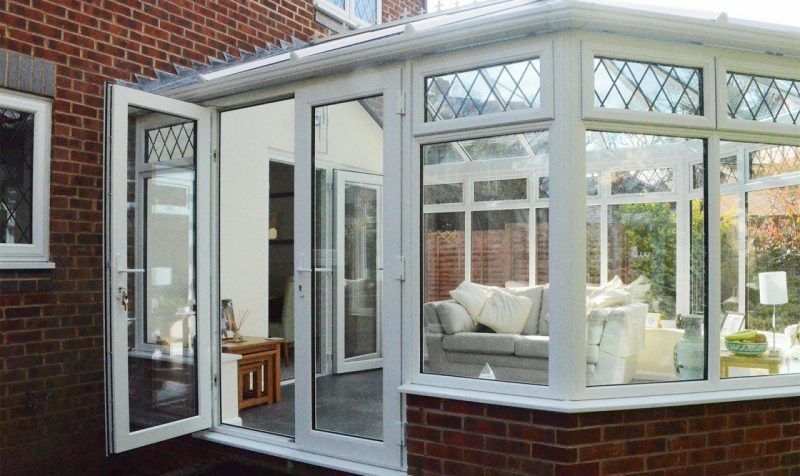 Meanwhile, our specialist team got to work with redesigning the conservatory, in order to fix all of the other problems it had. 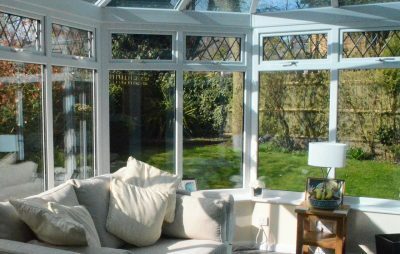 In order to preserve the French doors we had recently installed, we carefully dismantled the existing conservatory and side frames. The dwarf and house walls were prepared ready for the installation of the new white uPVC frames, complete with diamond leaded fanlights and clear toughened safety glass. The new roof was fitted with high strength aluminium rafters. 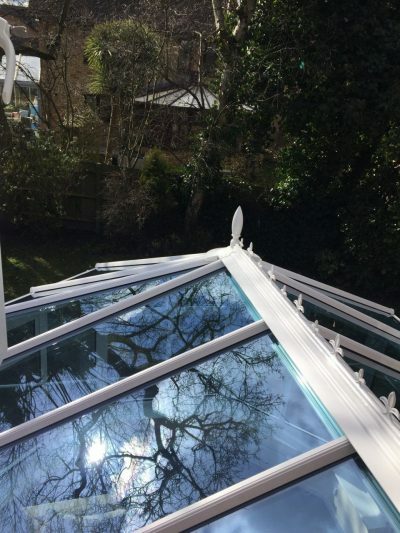 It was glazed with Solar Blue double glazed units which were given a very useful external self cleaning treatment, then completed with its own integrated rainwater system.